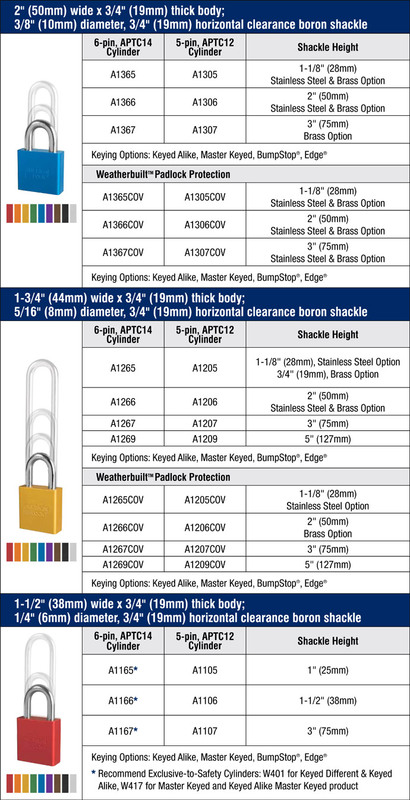 Rust-resistant brass shackles are available as an optional upgrade for corrosion-resistance in harsh outdoor environments. Includes A1305, A1306, A1307, A1365, A1366 and A1367, with specifications listed below. Includes A1205, A1206, A1207, A1209, A1265, A1266, A2167 and A1269, with specifications listed below. Includes A1105, A1106, A1107, A1165, A1166 and A1167, with specifications listed below.